Don’t Be a Stranger, Let Aminé Be Your Dr. Whoever. American rapper Aminé’s performance did not shy away from addressing issues such as mental health and toxic masculinity. 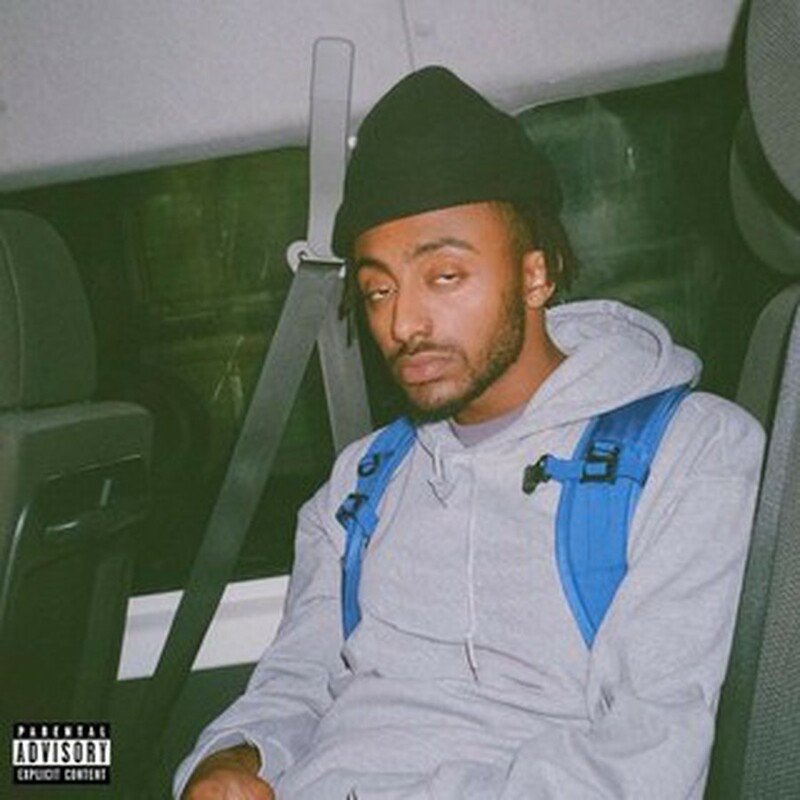 OnePointFive is American rapper Aminé's second studio album, released on August 15, 2018 to critical acclaim. “These intros ain’t meant to be bangers / They meant for you and me so we’ll never end up as strangers.” Such are the lyrics to Aminé’s “Dr. Whoever,” a song about suicidal depression, toxic masculinity, and strained relationships. For all intents and purposes, the song should play as a sad and sorrowful tune, but instead is performed live as a cathartic and uplifting anthem. While some rappers tend to avoid sensitive issues like mental health, Aminé opens up about his own emotional turmoil in order to encourage and assure others with similar struggles that it indeed gets better. “Dr. Whoever” is, itself, framed as a conversation between a patient and a therapist—in this case Aminé and the audience—in part, because in times of need, the best help a person can get is often from a friend who listens. And so, taking the stage at the House of Blues on November 17 with the opener “Dr. Whoever,” Aminé shined a ray of love and support, beaming positivity and making sure that no one in the crowd went home a stranger. It’s not so much that Aminé has a loud or commanding stage presence, but rather that he has a unique ability to turn the stage into a warm and familiar environment, akin to one’s own living room. In fact, most of Aminé’s performances involve stripping away all the glitz and glamour typically associated with rap stardom to allow for a more intimate and honest experience. This means no wild entrances, no crazy light shows, and no elaborate stage design. It’s just Aminé and a mic. Even when performing his most commercially successful hit, “Caroline” (a point of recognition for any bar night regular), Aminé strips the song of its bouncy pop beats in favor of a simple piano instrumental, letting the strong lyricism of his verses do the work. It seems as if every time Aminé has the opportunity to launch into a bombastic display of showmanship, he opts for a more personal performance, preferring strong rapport over excessive theatricality. Make no mistake, however—there are plenty of bangers to be enjoyed at an Aminé concert. When Aminé wants you to go off the wall, you will. On more indulgent tracks like “REDMERCEDES,” “Campfire,” and “Stfu2,” Aminé gets the crowd bumping, jumping, and wilin’ out. At one point, after rapping his playfully catchy song “Spice Girl,” Aminé started a full-on dance party to the Spice Girls’ all-time classic “Wannabe.” Getting the crowd to dance, moreover, seems to be of critical importance for the rapper. Throughout his set, Aminé used the large screen behind him to display various clips of people dancing, including a flash mob of geriatric grannies, Will Smith from his Fresh Prince of Bel-Air days, and Rickey Thompson, a social media star from Vine and YouTube who also serves as a narrator on Aminé’s latest studio album, ONEPOINTFIVE. As emotionally vulnerable as he can be on stage, Aminé is equally capable of letting loose. This sense of happy-go-lucky escapism seems to be at the core of Aminé’s music and musical performance. Life can be tough—really, really tough—so why not have fun while you still can? During one of his songs, Aminé even projected the phrase “Life’s too short, smile” behind him. It may not be an entirely new or unique perspective, but upon seeing the earnestness with which Aminé presents himself and his message, one can’t help but smile back. Throughout the night, Aminé regularly shouted, “You’re beautiful,” to the crowd, to which they all replied, “I know!” It was a heartwarming gesture that encapsulated the wholesomeness of the night. And so, if you’re in need of a pick-me-up, or even if you just want to listen to some solid bangers, I urge you to listen to ONEPOINTFIVE. Don’t be a stranger—let Aminé be your Dr. Whoever.